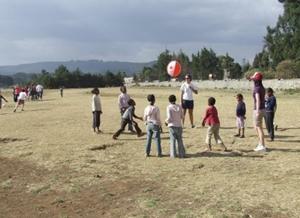 On this voluntary teaching project you can teach sport to primary and secondary school children in Addis Ababa. Ethiopians idolise sports stars such as legendary long distance runner Haile Gebrselassie. However, they don’t get enough access to sport in school. This project provides you with a platform to provide an essential service for children. 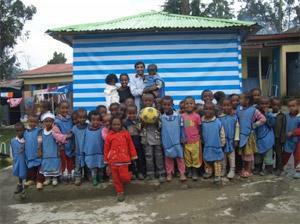 How can volunteer physical education teachers help in Ethiopia? Teaching sports abroad with either primary or secondary school, depending on your experience. Hill Side School is a private school for children aged 6-18. The school is split into a Primary with children aged 6-14 and a High school for children aged between 15 and 18. The school was founded by a former teacher, Mrs Saba Solomon. It has nearly 2000 pupils and 100 staff members. However, it still need more focus on sport and physical education. You will get the chance to work with a wide variety of children of different ages. You will also work alongside qualified teachers who are eager to learn more about physical education. There is also a ‘feel good factor’ that comes from developing a programme like this. There will be a long-term benefit to your work. Through educating the students at the school, you will learn about Ethiopia’s culture and way of life. Staff and pupils will want to hear about your life back home and your family and friends. We call this ‘cultural exchange’ and we think it helps our volunteers gain a new perspective on life. If you are interested in this project but don’t have the relevant experience, then please read about our regular School Sports project in Ethiopia.